Big Bear, CA, November 11, 2016 – Every year, thousands of people are seriously injured or killed statewide in vehicle collisions caused by distracted drivers. The unfortunate truth is distracted driving collisions are 100 percent preventable, because distracted driving is a choice. Though there are numerous distractions a driver must manage, cell phone use is the most prevalent. With multiple modes of communication and instant entertainment at their fingertips, drivers are constantly engaging in cell phone use while driving. 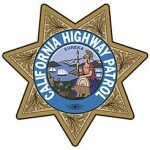 To combat this issue the California Highway Patrol is launching a statewide Adult Distracted Drivers traffic safety program. This program is made possible through a grant from the California Office of Traffic Safety and consists of a yearlong campaign of education and enforcement. By the end of September 2017, the CHP will conduct a minimum of 100 distracted driving enforcement operations and at least 600 traffic safety presentations statewide. It is important for drivers to understand that their chances of being involved in a vehicle collision increase exponentially when they choose to drive distracted. Once that decision is made, distracted drivers place everyone on the road in danger. Some of the most common types of distracted driving include: texting, talking on a cell phone, eating, grooming, talking to passengers, operating a navigation system, and adjusting the radio.